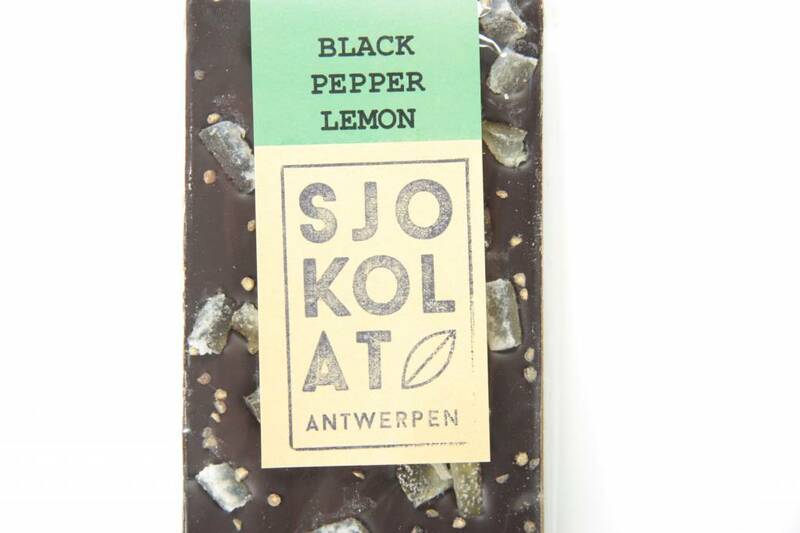 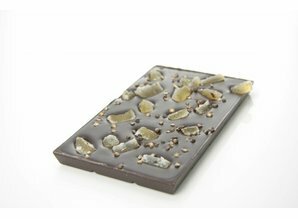 A dark chocolate bar (70% cocoa) covered with candied lemon and black pepper. 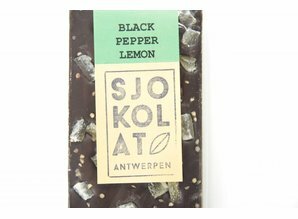 Let yourself be surprised by the fresh, sweet taste of citrus combined with the delicious tingle of black pepper. 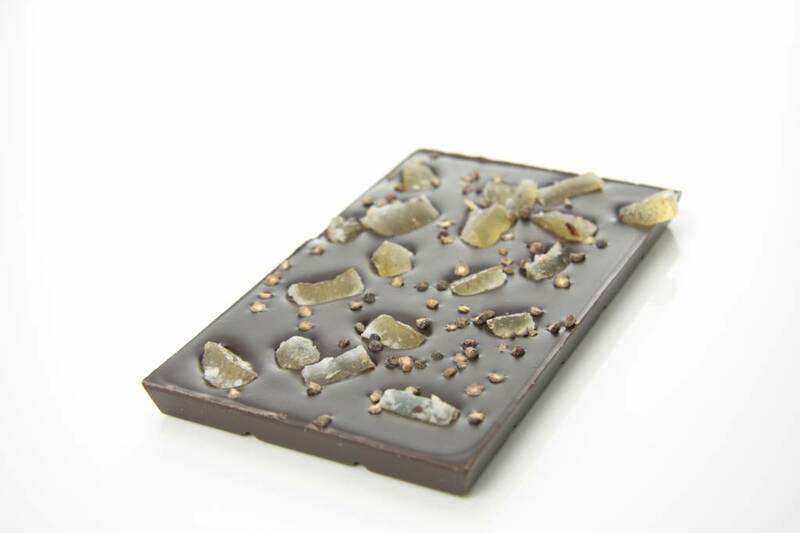 Together with the rich, dark chocolate they make a truly enthrancing combo.